I am currently working on making a Studio for those who are in Duke TIP to come talk and support each other! Make sure you tell me if you are in Duke TIP so that I can add you to the Curators List! 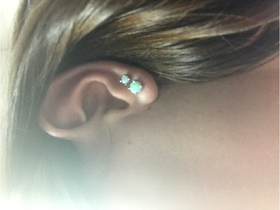 My Double Piercing/New Opal Earrings!!! !